Italy Gay Summer Party: The Party Event of the Summer is Back!. 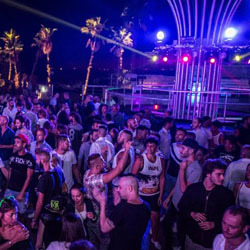 Italy Gay Summer Party 2019: Bigger, better and with even more fun than ever before. Save the Date: 30 August – 1 September 2019! Italy Gay Travels will host a sensational weekend of events in sunny Southern Italy! Join a select group of avid gay travellers basking in the sunshine and beaches of Gallipoli, Puglia. 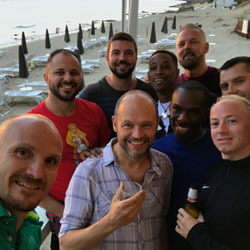 Italy Gay Summer Party 2019 is a 3-day event packed with fun, sun, laughs and Prosecco, obviously! Why not discover Salento and the rest of Puglia with Italy Gay Travels? Treat yourself! Book the Sensational Luxury Food and Wine Tour of Salento, 24 – 30 August 2019. Willing to discover the rest of Italy with us? Book the sensational Capitals of Italy Tour, 2-9 September 2019: Rome, Naples and Florence are just a few steps away! Join us in the afternoon for a delectable aperitif – dinner and 2 drinks of your choice over the enchanting bay of Gallipoli. 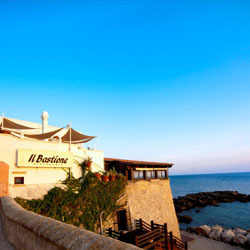 Il Bastione bar is perfectly located to watch the sun set over the bay, with great company. We have selected an exclusive spot where we can all mingle and drink whilst tasting local appetizers and getting to know each other. From here we can take a stroll around the beautiful historic centre of Gallipoli, discovering all the nooks and crannies. We then will make our way to the new town, a short 10 minutes’ walk from the Old Town . For those wishing to continue, we will head to LED, the gay bar in Gallipoli where you can drink and mingle with the local talent. 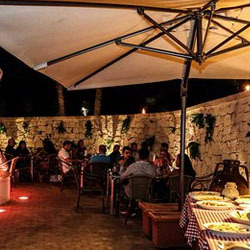 Join Italy Gay Travels for an Al fresco Pizza Dinner like no other! No visit to Italy is complete if you haven’t had the best pizza around, Napoli style! Beer or a glass of wine is included. After dinner, transfer to Picador Village. Here you will have access to all areas, including select VIP only areas. The Official Summer Party will take you from 80s Italian Pop to DJ Beats. This will be a sensational party, all held outdoors in this incredible venue. Singles feel free to flirt with the locals who will be more than willing to get to know you. You get 1 free drink with the entrance ticket also. Boogie the night away with Italy Gay Travels. Transport to and from Gallipoli is included. Join in on the fun at Lido Pôr do Sol, a beautiful beach Lido on the sandy beaches south of Gallipoli. Those who come early will get free deck chairs, sun lounges and parasols, available for our guests from the morning. Just mention Italy Gay Travels at the entrance for the freebies. From 4pm the music will pick up a notch and the Sunset Beach Party will start. You can throw dance moves in the sea to your hearts content! Picture yourself immersed in the golden sandy beaches whilst sipping on cocktails: 2 drinks are included! Forget Café Del Mar, this is the real deal. Stay at our partner hotel the Bellavista! 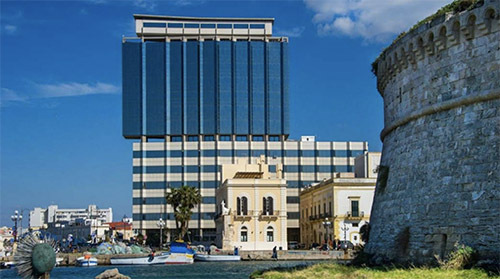 The Bellavista hotel is located right next to the historical centre of Gallipoli. With 360 degree views of the beautiful bay and incredible views it is the perfect place to enjoy all the action of the Italy Gay Summer Party 2018. It is within walking distance to the beaches, bars and restaurants and will not break the bank either! Please fill in the form for prices for your required stay. Please let us know your size for your free Vest (Tank Top). You will receive your T-Shirt with your welcome pack when you arrive.